Bicyclists might be the most vulnerable people on our roadways. It’s easy to imagine that pedestrians are in more danger, and the sheer number of pedestrian accidents would seem to support that fact, but cyclists spend more time on the actual road, near distracted and impaired drivers. The National Highway Traffic Safety Administration reports that approximately 49,000 cyclists were involved in car accidents in 2012, which represents an increase of 4,000 from one year earlier. However, experts believe these statistics don’t accurately gauge the problem. Comparisons with hospital records demonstrate the numbers could be 10 times higher than the NHTSA reports. That would put the true figure closer to 500,000. Most people who have worked in hospital emergency rooms would have an easy time believing those new estimates. According to The Coloradoan, a bicyclist named Jeffrey Wicks was riding through an intersection when an Iowa driver suddenly turned in front of him. Wicks struck the car and fell to the ground. Witnesses say the driver, Peggy Brown, stopped for a moment before quickly driving away. Fortunately, a good Samaritan tailed Brown and called the police to alert them of her location. Police found Brown and charged her with careless driving and leaving the scene of an accident, which is a felony. An initial investigation determined that carelessness, rather than impairment or speeding, caused the bike accident. Wicks stayed at the hospital overnight, and a nurse told reporters he is recovering well. If you find yourself in Wicks’ situation, you could likely benefit from some legal advice about seeking the compensation you deserve. 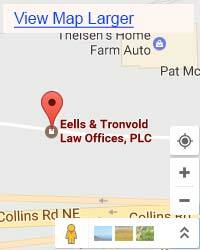 At Eells & Tronvold Law Offices, PLC in Cedar Rapids, we believe everyone should have access to legal advice if they’re considering a lawsuit, which is why we offer free case evaluations. To schedule your consultation with an accident attorney from our firm, call us today at 319-393-1020. WHOTV News reports that 18-year-old Austin Clark is accused of driving under the influence after he struck a bicyclist with his truck. When police arrived, they noticed Clark was speaking abnormally, so they searched his truck and found marijuana and paraphernalia. Emergency responders took the bicyclist, Christopher Koranada, to a nearby hospital, where he is listed in stable condition. The accident left Koranada with a severe head injury and a broken pelvis. Police arrested Clark for possessing marijuana and operating a vehicle while intoxicated. They took the opportunity to remind Iowa motorists that drugged driving is just as dangerous as drunk driving. 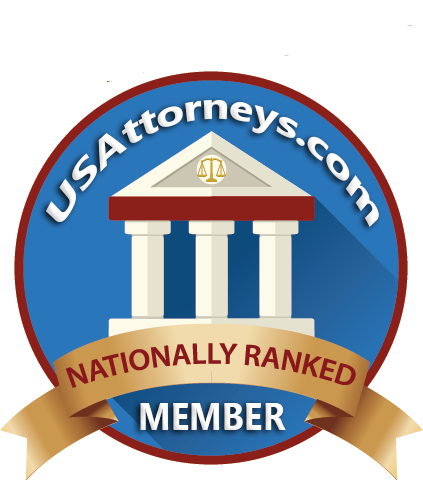 If you’re looking for an accident lawyer after you’ve suffered an injury from a bike accident, call us. Our attorneys have 75 years of experience helping victims of negligent driving in Cedar Rapids, and we are proud to protect our clients’ rights. Whether you’ve been injured in a car or in a pedestrian or cycling accident, we can offer advice and represent your interests in court. To speak with an accident attorney in Cedar Rapids, call us today at 319-393-1020.